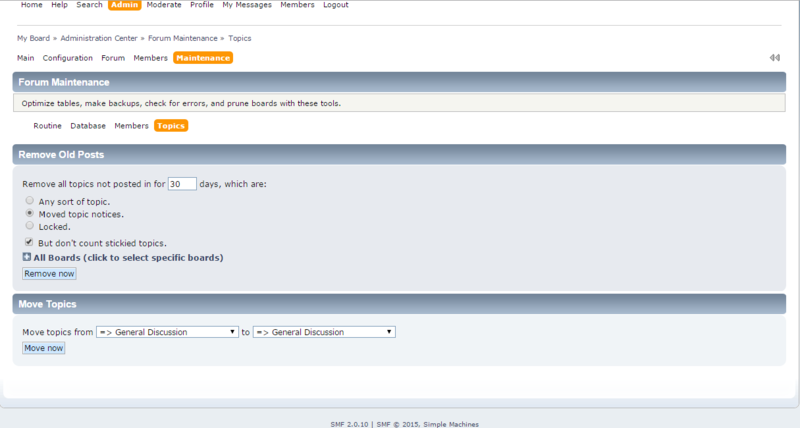 In this tutorial we will review how to maintain the Simple Machines Forum application. This is a good practise as it will make sure that your website stays optimized properly for better performance and better security. 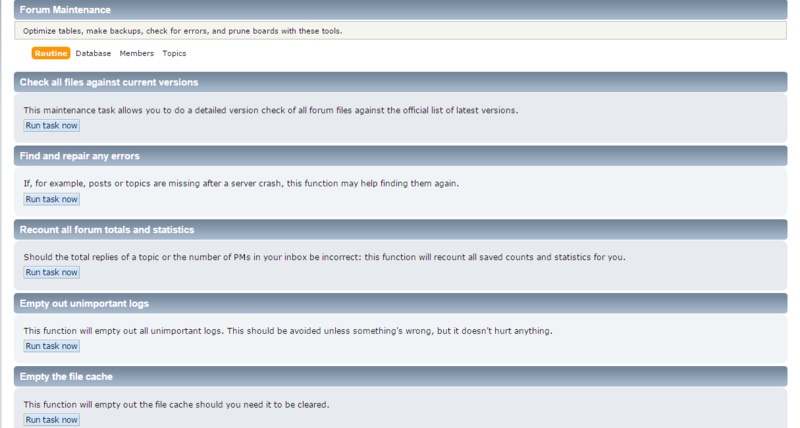 You have different options for the forum maintenance. 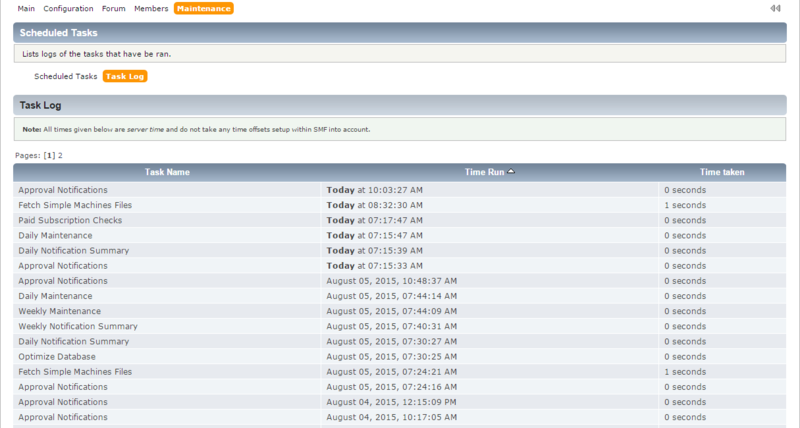 The first thing to do is to access your SMF installation as administrator. 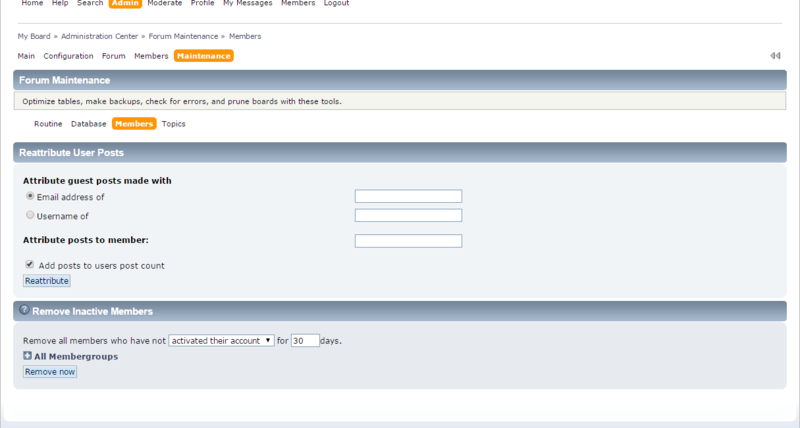 Click on the Admin button from the main menu and then select the Maintenance tab and Forum Maintenance. SMF comes with its own version of a scheduler. This is called scheduled tasks. 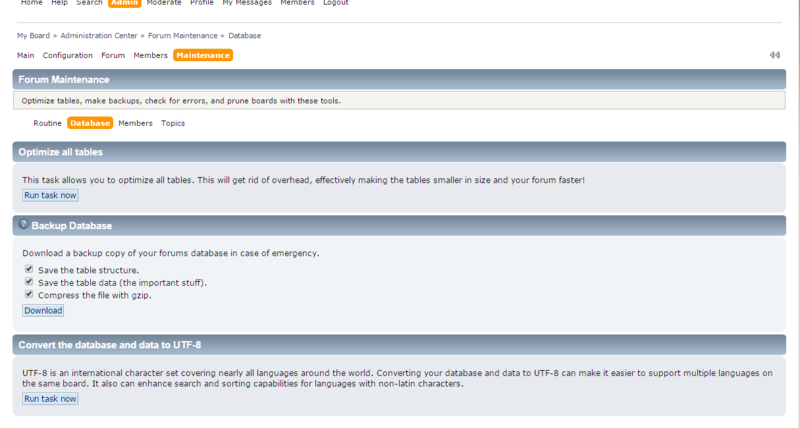 The forum comes with several tasks installed by default, but you may have a greater number, depending on the customizations you have installed. 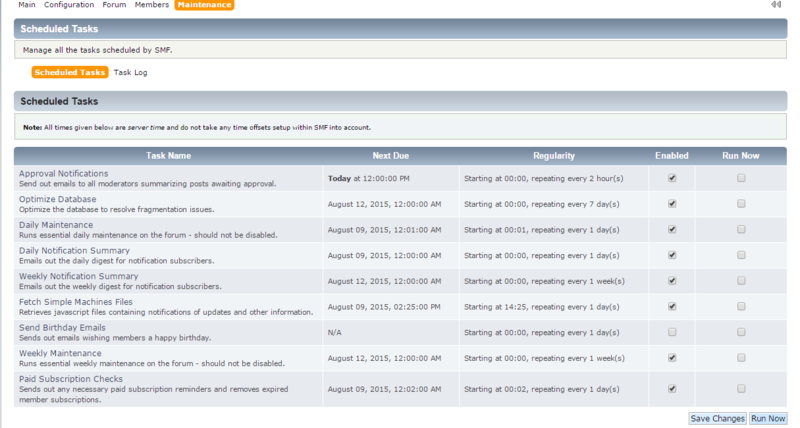 SMF's scheduled tasks rely on people visiting your forum. If you have a busy forum, the tasks will generally be run on time. If you do not have a busy forum, the tasks will be run the next time someone visits your forum. Tasks are organized by task name, next due, regularity, and enabled. There is also another column for run now which allows you to select tasks to be run straight away instead of their next due time. The task name shows the name and a short description of the task, as well as a link to edit the task. Next due gives you a time based on the server's set time of when this task will be executed. Regularity is how often the task will run when enabled. Enabled is a check box which will enable or disable the task. The second option is for the Task Log. It will list the logs of the tasks that have been executed. The list explains which task was run (task name), when it was run (time run), and how long it took to run it (time taken). Take note that all times are based on the server's time, which may be different from the time settings for the member viewing the log. Congratulations! We have succesfully reviewed how to maintain our SMF application and you will be able to do so on your own for better performance of your website.